Shazam! Apple is buying the British software company behind the popular music tagging and recognition app.The deal was first reported as likely happening last Friday, and today Apple confirmed the acquisition to 9to5Mac. Shazam’s music recognition feature is already integrated with Apple’s Siri voice assistant. 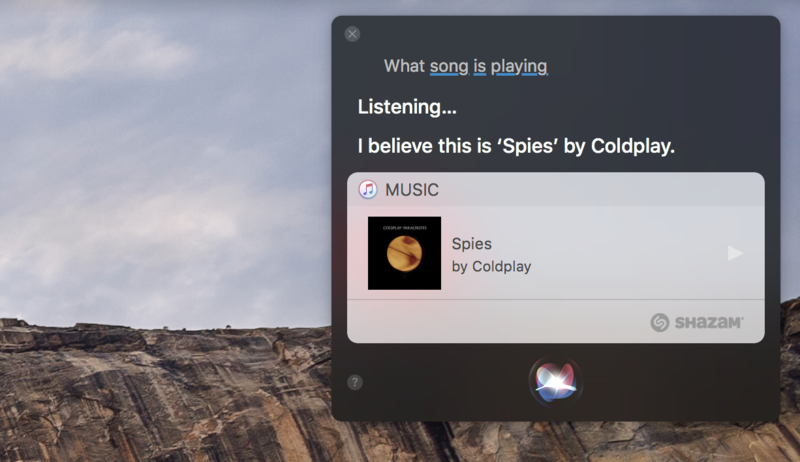 For example, you can invoke Siri on an iPhone, iPad, or Mac (sorry, Apple Watch) and identify playing music by asking what song is playing. Siri briefly automatically recognized playing music using Shazam, but the feature was quickly changed to only work when the user actually asks what song is playing. It’s unclear if this was for privacy reasons or as part of their licensing agreement, but it would be fantastic to see automatic song tagging return as part of this acquisition. Shazam’s media recognition technology could also be integrated deeper in Apple’s software and services in the future. The deal is expected to be worth around $400 million. As for Shazam’s apps on Android and other platforms, we’ve reached out to the company to ask about the fate of those clients. Following Apple’s Beats Music acquisition, the company maintained its Android client then released Apple Music for Android so it’s not unlikely that could happen here as well. My guess: integrate Shazam’s music tagging feature in Apple Music for Android and sunset Spotify for Android (sorry other music services).